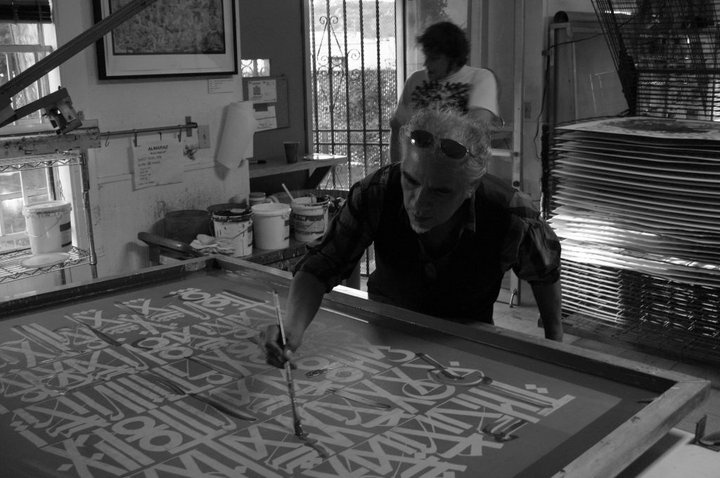 Artist and Master Printmaker Richard Duardo at work. Art exhibit honoring Richard Duardo's work will be open to August 21 at The Muckenthaler Cultural Center. 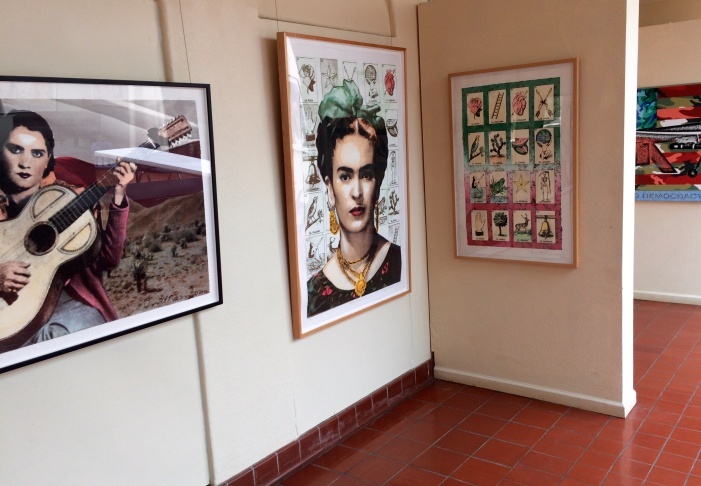 Print of Frida Kahlo in the gallery. Two of the many colorful prints from Duardo. 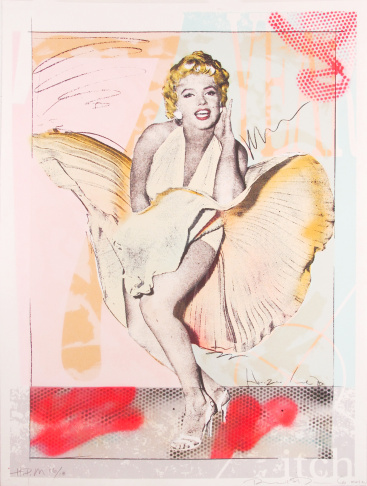 Full body silk print of Marilyn Monroe. 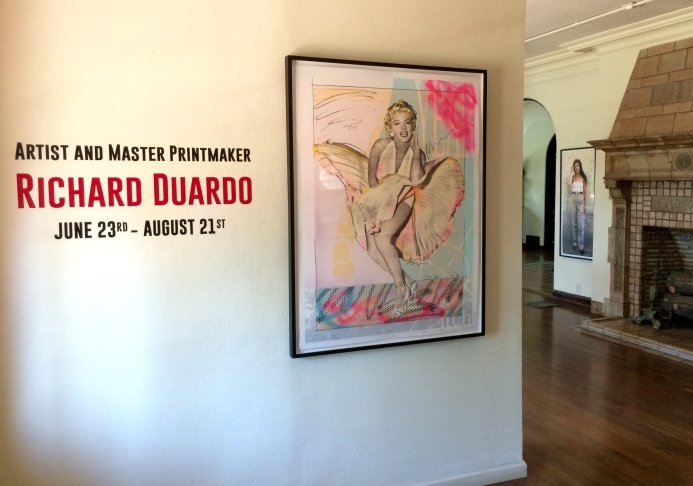 "Richard Duardo: Artist and Master Printmaker" is at the Muckenthaler Cultural Center in Fullerton through August 21. Admission is free. "An artist could have no better friend than Richard... Richard had a fantastic eye. 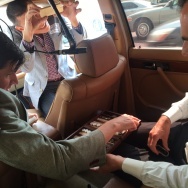 He would find artists in his travels, and he knew how to promote them. For me, he was a guide and mentor." 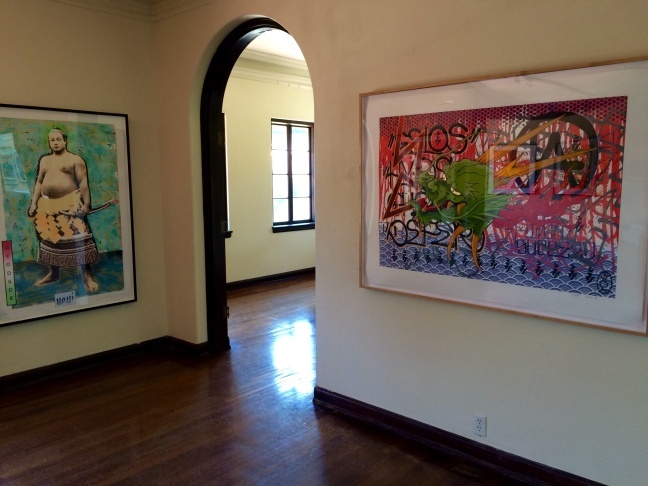 Richard Duardo, who died suddenly in 2014 at the age of 62, was a key figure in the Chicano art movement. Not only did he make art himself — some called him the West Coast Warhol for his big colorful silkscreens of celebrities — but he became a renowned printmaker, counting David Hockney, Keith Haring and Banksy among his customers. Duardo was born in Boyle Heights, went to high school in Highland Park, attended PCC, then got his master's degree at UCLA. He worked at the famed Self Help Graphics in Boyle Heights and opened his own printmaking shop, Modern Multiples. 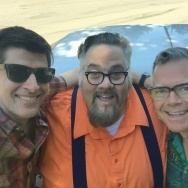 The show at the Muckenthaler will include Duardo's own work, plus prints of works by John Valadez, Frank Romero, Carlos Almaraz, John Van Hamersveld, Bob Zoell, Camille Rose Garcia, Germs, Sage Vaughn, Sonia Romero, and others. 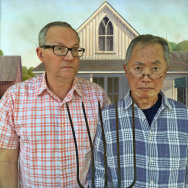 Japanese Brazilian American artist makes art world debut ... at 78.